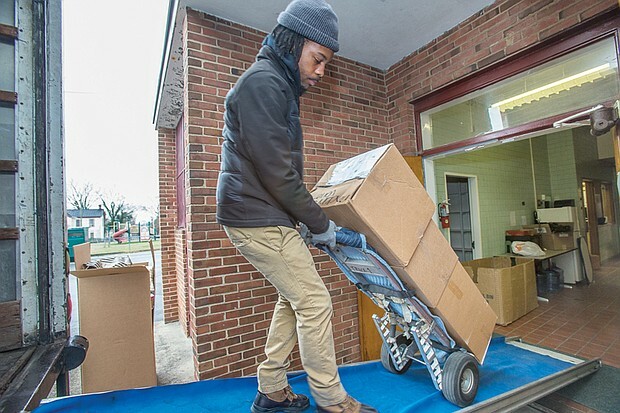 Isaac Lee, left, loads a truck with boxes Saturday from Norrell School Annex at 201 W. Graham Road in North Side. The annex and the nearby A.V. Norrell Elementary School building, which have been used as office space in recent years, are being closed to help Richmond Public Schools save money. The move is to be completed by February, and the buildings are to be returned to ownership by the City of Richmond.